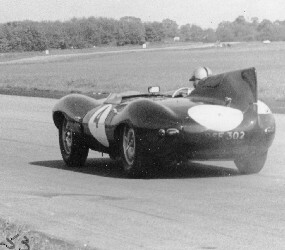 Our first race, at Castle Combe, was organised by Guy Griffiths, started by daughter Penny and won by Neil Corner’s Jaguar D-Type. Today we have just short of one thousand, mainly racing, members. We have grown from a Club running races at other people’s meetings to become the premier organiser of historic racing in the UK. Our Brands Hatch ‘Historic Superprix’ and Oulton Park ‘Gold Cup’ are two of the top meetings on the historic calendar. In recent years we have been asked to organise the racing side of the ‘Silverstone Classic’ and also historic races supporting the British Grand Prix. As each new generation of enthusiast turns to historic racing their choice of car usually reflects the racing they watched in their youth. In the sixties we ran grids of Healey Silverstones, Frazer Nash and D-Types. At today’s HSCC meetings you will continue to see fifties sports cars but they have been joined by thriving new championships. Nowadays half of our races are for single seaters and half the cars were built after 1966. Griffiths and Haig were part of a very small group who thought historic cars should be preserved. Today, the Club is proud to have played a role in making historic racing the fastest growing part of the UK racing scene.